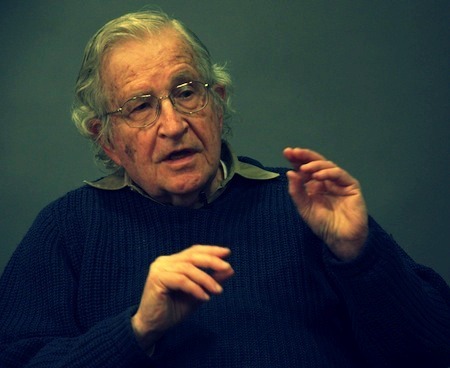 Target Liberty: Noam Chomsky Blasts Democrats for Their Focus: "Outrage over Russian Hacking Claims is Laughable"
Noam Chomsky Blasts Democrats for Their Focus: "Outrage over Russian Hacking Claims is Laughable"
So why are the Democrats focusing on this? In fact, why are they focusing so much attention on the one element of Trump’s programs which is fairly reasonable, the one ray of light in this gloom: trying to reduce tensions with Russia? That’s—the tensions on the Russian border are extremely serious. They could escalate to a major terminal war. Efforts to try to reduce them should be welcomed. Just a couple of days ago, the former U.S. ambassador to Russia, Jack Matlock, came out and said he just can’t believe that so much attention is being paid to apparent efforts by the incoming administration to establish connections with Russia. He said, "Sure, that’s just what they ought to be doing." Chomsky is an enigma, sometimes (as here) right on target and other times off in lefty la la land (supporting Bernie "I Love Socialism" Sanders, for example). When he's good, he's very very good. Chomsky has written a lot about the US in regards to foreign elections. His "Manufacturing Consent" book is quite good. From what I remember he had a bit of a lefty slant in parts (no surprise), but overall an informing read.